What a bashful bunch we are at bandv - lights under bushels and all that. But, once in a while, our cover gets blown. 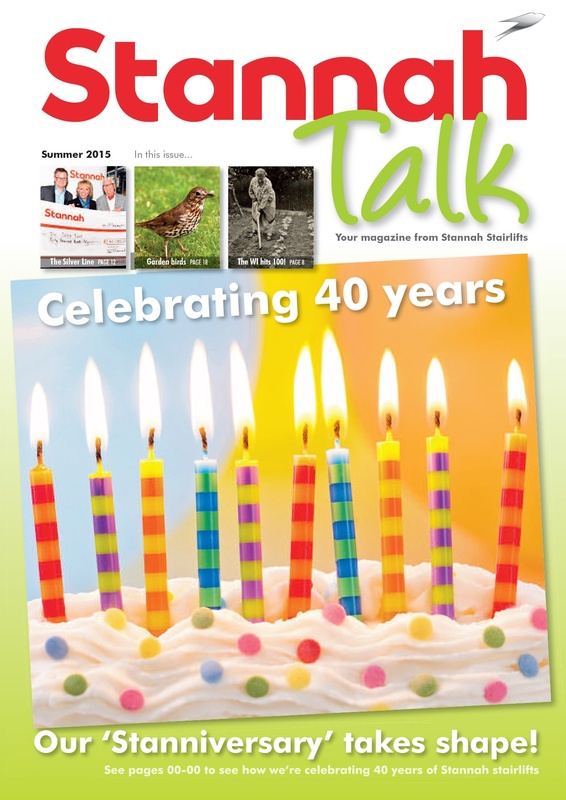 Point in question: StannahTalk, the magazine of Stannah Stairlifts, researched, written, designed and produced by team bandv, read by 1000s, and a resounding success story. Distributed to Stannah stairlift users throughout the UK, it is designed to encourage advocacy. Full of interesting and amusing articles, useful information and pencil-biting brain botherers, it has done just this, with praise flooding in from its fanbase - a response rate that has gone from 96 to 476 in just seven issues. What will the eighth issue bring? It celebrates Stannah Stairlifts' 40th 'Stanniversary' and delivery UK-wide is imminent. "Although the production is overseen by the UK marketing department it is put together for us by a team led by Jenny Wilson, the Senior Designer at bandv, our Group PR agency who have worked with Stannah for many years. As soon as one edition goes out, the whole team has to start working on ideas for the next edition. We start receiving replies from readers almost immediately and log all their responses. Proofreading takes several weeks, and ensuring that the database of customers is up to date is a major task requiring the help of a data cleaning company. Lots of decisions need to be made on things like images, cartoons and articles to include. There is one final meeting just prior to issue going out where the UK marketing team get together with Jenny from bandv and read through the printer's proofs for the last time. Once that's done everyone breathes a huge sigh of relief, the magazines are printed and we look forward to hearing from our customers again."